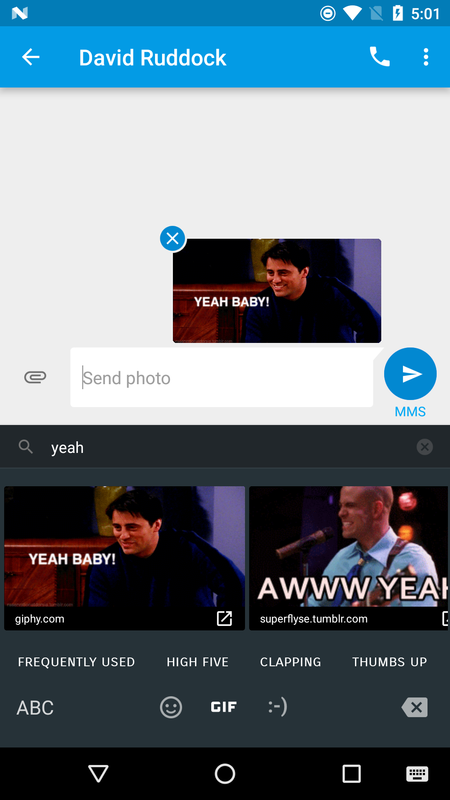 This feature is part of the v5.2 update to the Google Keyboard, but the GIF will only show up in Android 7.1, which has the API support. 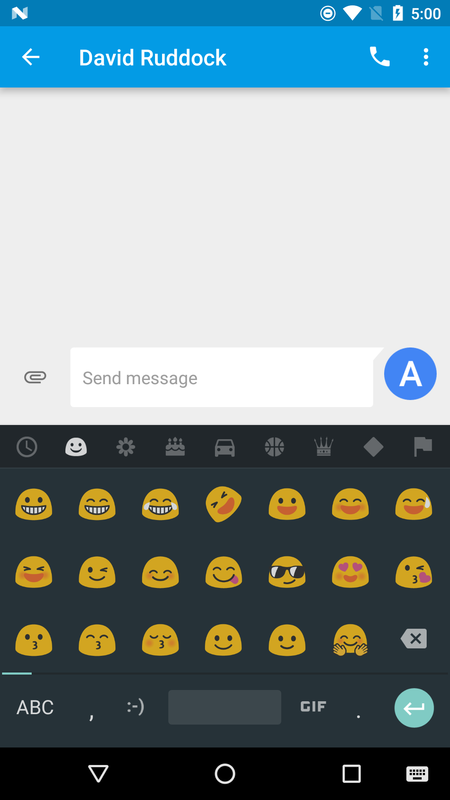 Developers of other keyboards can do similar things. 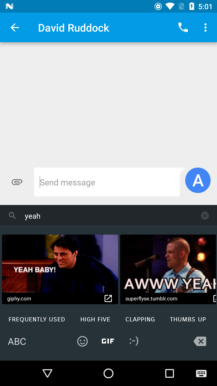 In the Google keyboard, the GIFs are a little buried. 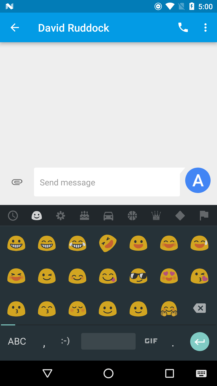 You have to open the emoji panel, which is either one or two taps, depending on your setup, then the GIF button is at the bottom. 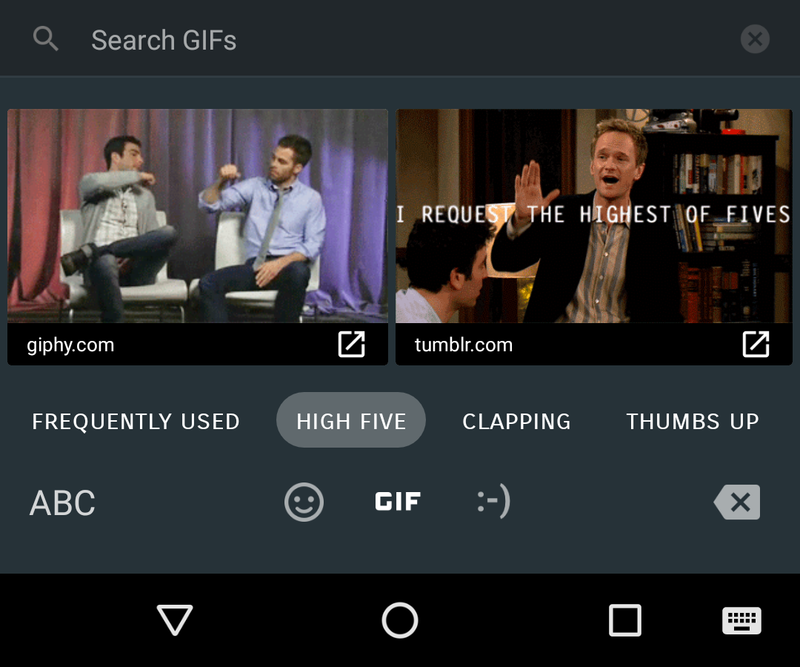 The GIFs are all pre-populated in various categories like high five, yes, no, clapping, and so on. There's also a frequently used section. There's a search box as well. These are just images to be inserted, so not all text input boxes will allow GIFs. Right now, Messenger seems to work fine (MMS), but Hangouts doesn't for some reason.